As Nebraska celebrates its 150th year of statehood, an iconic, representative symbol of the state is the official tree — the native cottonwood. 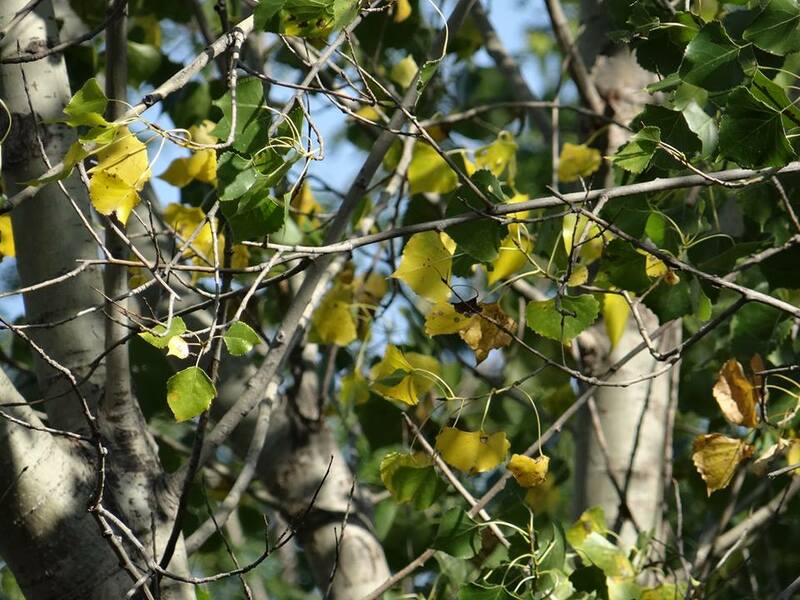 The 1972 legislature named the cottonwood (Populus deltoides) as the state tree, replacing the original selection made in 1937 — the American elm (Ulmus Americana L.). The cottonwood was chosen because many elm trees had been killed by Dutch elm disease and it is rooted in Nebraska’s pioneer history. An upward view of a mature cottonwood tree near its base along the Missouri River in Washington County, NE. Photo by Greg Wagner/Nebraska Game and Parks Commission. I have great admiration for the cottonwood tree. I can hear the sounds of its bright green, heart-shaped leaves shaking and shimmering in a warm summer breeze. I can see its golden leaves starting to emerge against the bright blue of an autumn sky. Cottonwood tree leaves beginning to turn their pretty yellow in early fall on a Sarpy County, NE farm. Photo by Greg Wagner/Nebraska Game and Parks Commission. I can feel its deep, fissure-like bark. The bark of an older cottonwood tree along a creek bottom in northern Douglas County, NE. Photo by Greg Wagner/Nebraska Game and Parks Commission. I can visualize the clumps of cotton-type seed fluffs in the cottonwood trees in the springtime before they begin to gently, randomly drift in the air and collect on stuff. The “cotton” of a cottonwood tree in the springtime in rural northern Douglas County, NE. Photo by Greg Wagner/Nebraska Game and Parks Commission. I think I first fell in love with cottonwood trees as a young boy when I built my first tree house. It wasn’t much to behold, more like a place to perch in the tree than a tree house really. But I loved to climb up that tree and sit there looking out at the world from above. The massive strength of the big branches of that cottonwood just seemed to wrap around me. I felt safe up there, despite the danger of falling and hurting myself. When I reflect on my wild turkey hunting adventures, my passion for the lifestyle was and still is associated with the cottonwood, as it is a preferred roost tree of wild turkeys in Nebraska. The cotton floating around has always offered a fantastic opportunity to match the hatch in fishing and take carp with my fly rod on dry flies friends have tied that resemble those cotton fluffs produced from cottonwood trees! The dead and dying cottonwoods, their fallen limbs and leaf matter have also been magnets for me in the springtime to find those delicious morel mushrooms! 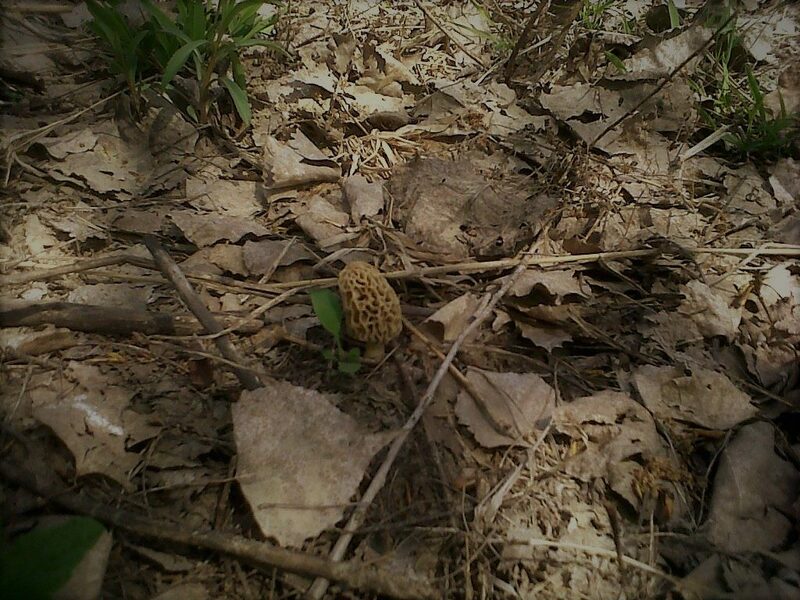 A morel mushroom has sprouted in the leaf matter of cottonwood and other hardwood trees along the Elkhorn River in rural Douglas County, NE. Photo by Greg Wagner/Nebraska Game and Parks Commission. So, you see why I have such appreciation for the Nebraska State Tree. But, I have other, non-selfish reasons for liking the cottonwood tree so much. Native Americans utilized all parts of the tree to make various things from dugout canoes to a medicinal herbal tea. 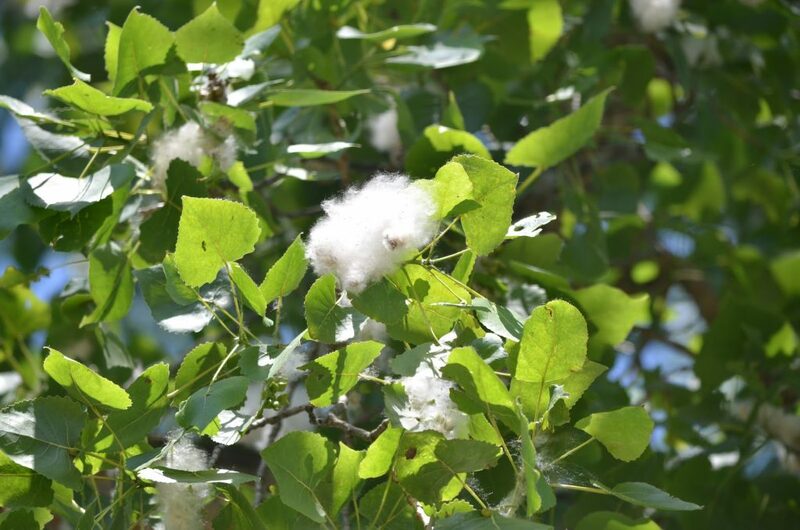 Cottonwood trees were sacred objects for several Native American Plains tribes. 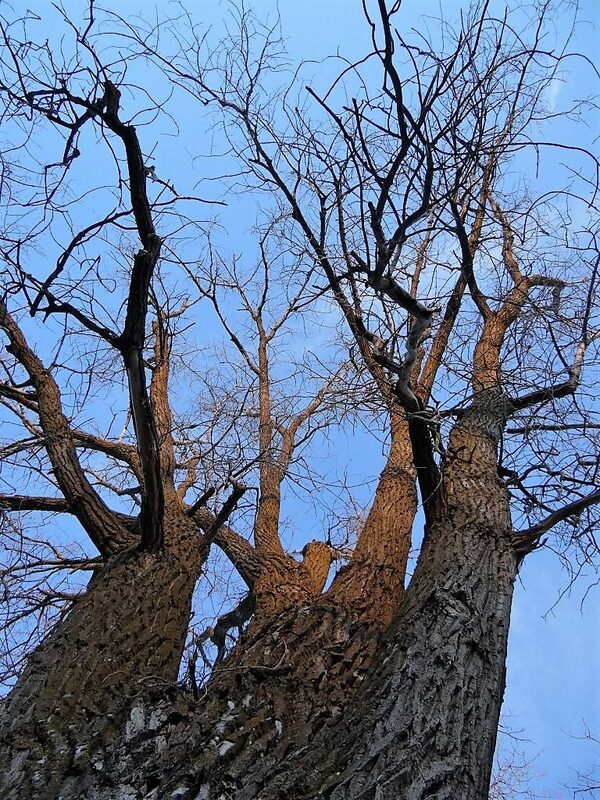 The cottonwood tree is linked with pioneer Nebraska because shoots were gathered and planted on homestead claims, and several famous early landmarks and meeting points were cottonwood trees. It is fast-growing, quick to spread, found in many places, large in size and an excellent shade tree. Cottonwood tree species are the fastest growing, quickest to colonize trees in North America. A young tree can add 6 feet or more in height each year! The cottonwood tree grows throughout Nebraska is typically found in lowlands adjacent to rivers, creeks and streams plus around lakes, reservoirs, ponds and marshes. A wild cottonwood tree (shown to the right) grows along a creek bottom in rural northern Douglas County, NE. Photo by Greg Wagner/Nebraska Game and Parks Commission. The cottonwood is a massive tree. It is a very tall tree often attaining an overall height of 100 feet or more with a crown that can cover a shaded area of 75 feet or better, and the diameter of the trunk averages about 6 feet at maturity. These mature cottonwoods provide wonderful shade in parks and wild areas for outdoor activities like camping, picnicking and fishing. It has tremendous worth to wildlife, alive, dead or in the water. 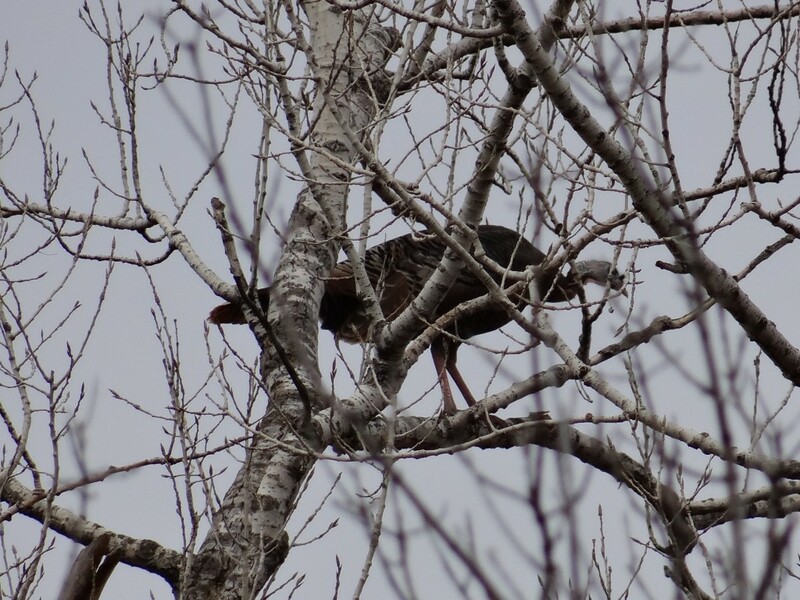 Of course, the wild turkey prefers to use the limb structure of the cottonwood as a night roost, but they aren’t the only wildlife species to use the tree, not by a long shot. A hen wild turkey gets ready to leave its roost on an upper limb of a cottonwood tree on a northern Douglas County, NE farm. Photo by Greg Wagner/Nebraska Game and Parks Commission. Beaver use cottonwoods for making dams and lodges and eat the bark and buds for food. Songbirds such as grosbeaks eat cottonwood seeds. Mice, cottontail rabbits, white-tailed deer and elk feed on shoots, stems, twigs and leaves. Raptors such as bald eagles and red-tailed hawks often use cottonwood trees for nest sites, night roosts or hunting perches. 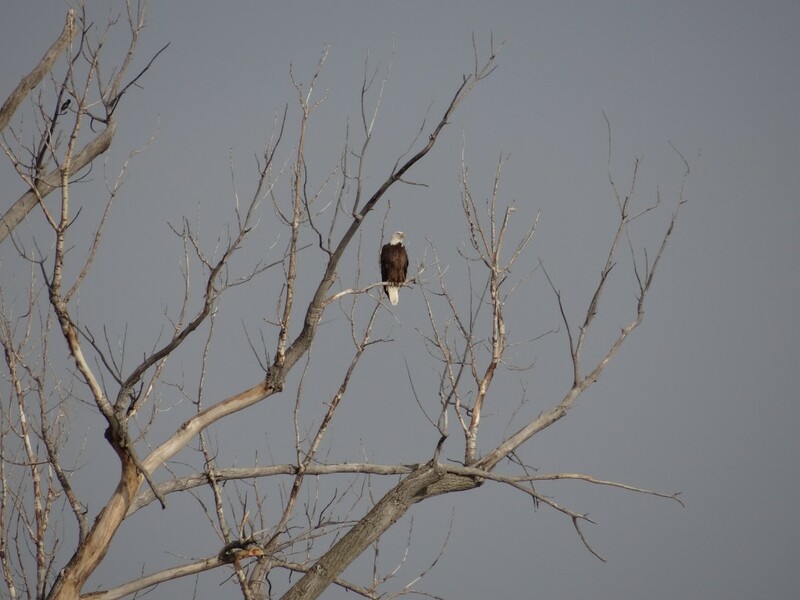 An adult bald eagle surveys the countryside for prey in a large cottonwood tree along the Missouri River in Washington County, NE. Photo by Greg Wagner/Nebraska Game and Parks Commission. Once cottonwoods start to die, cavities in them are used by more than 40 species of animals for nesting or roosting. Squirrels live inside the hollow trunks. 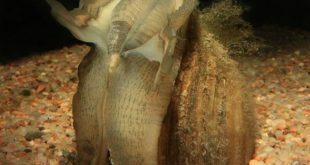 They are highly valuable to a large variety of cavity-dependent birds and mammals. Several species of woodpeckers not only feed on the insects that the tree supports, but excavate nest cavities in them. Wood ducks may use their hollow cavities for nesting, too. Cottonwoods additionally serve as food for the caterpillars of several Lepidoptera (an order of insects that includes moths and butterflies). Hollowed out trees are even sometimes occupied by bats. Bees rely on cottonwoods because they use the antimicrobial properties of cottonwood resin to make bees in their hive less susceptible to disease. Cottonwood trees can also improve aquatic habitat. 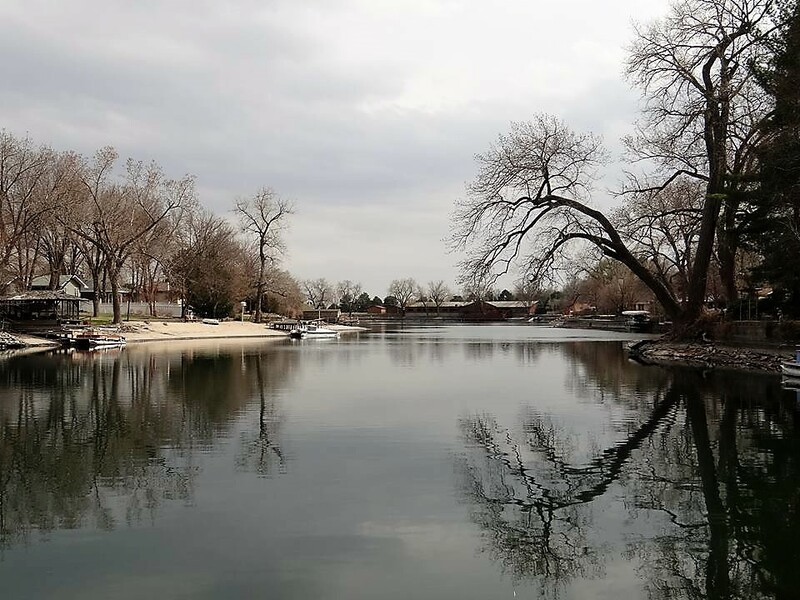 In time, cottonwood trees will provide shelter for fish in a reservoir or river setting. Cottonwood saplings carpet exposed reservoir bottoms when water levels are low and then provide excellent aquatic habitat when water levels rise and return to full pool. When cottonwoods grow near a river channel, the river erodes the banks around them until the tree is left on unstable footing. When it falls into the river, the branches, which previously would have been home to terrestrial birds and insects, will shelter aquatic invertebrates and fish. The branches in the river also help to improve water clarity by acting as a filter to remove soil and dirt sediment in the water. It possesses other benefits to the environment as well. The cottonwood, with its fast growth rate and resiliency, is supremely adapted to having its base covered in floodwaters. It continues to be a significant part of terrestrial habitat projects today. 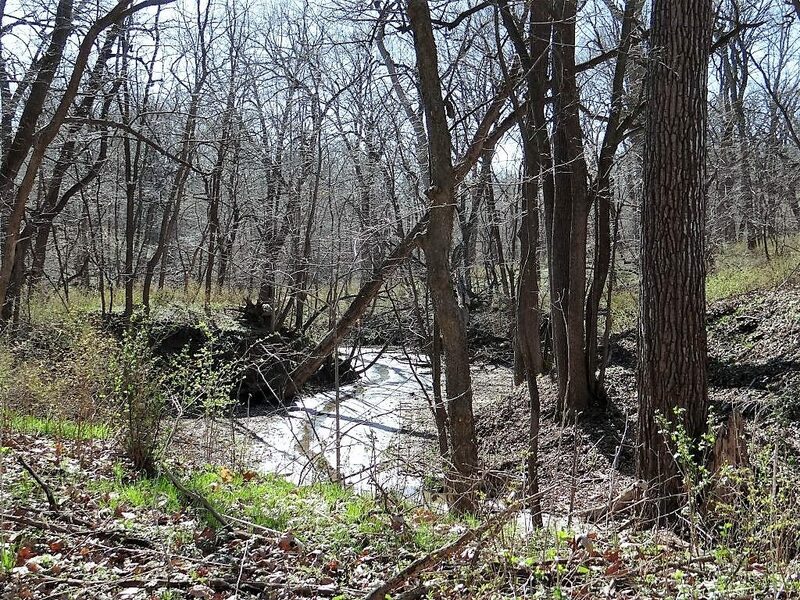 According to the Nebraska Forest Service, it is planted in riparian areas for filter strips, and near streams to reduce sedimentation and stabilize stream banks. It is also used in multiple row windbreaks for height and quick protection in locations with full sun and lots of moisture. 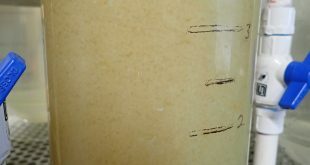 The cottonwood is easily planted, one of the simplest tree species to propagate, and one of the fastest to deliver results, though it may not live as long as other trees (about 70 years). It has modern-day uses for us. The cottonwood supplies most of the lumber processed in Nebraska today. It has rather soft wood that it is most commonly employed in making plywood, matches, ice cream sticks, crates, boxes, and paper pulp. Cottonwood catkins (long, thin clusters of tiny flowers with no petals), which are rich in Vitamin C, can be eaten raw (as survival food) or cooked The tastiest way to prepare cottonwood catkins is by frying them in a light tempura batter — which gives them a crispy exoskeleton., but still allows their distinctive flavor to be appreciated. As exasperating as the cottonwood trees are to some, they are an invaluable natural resource. 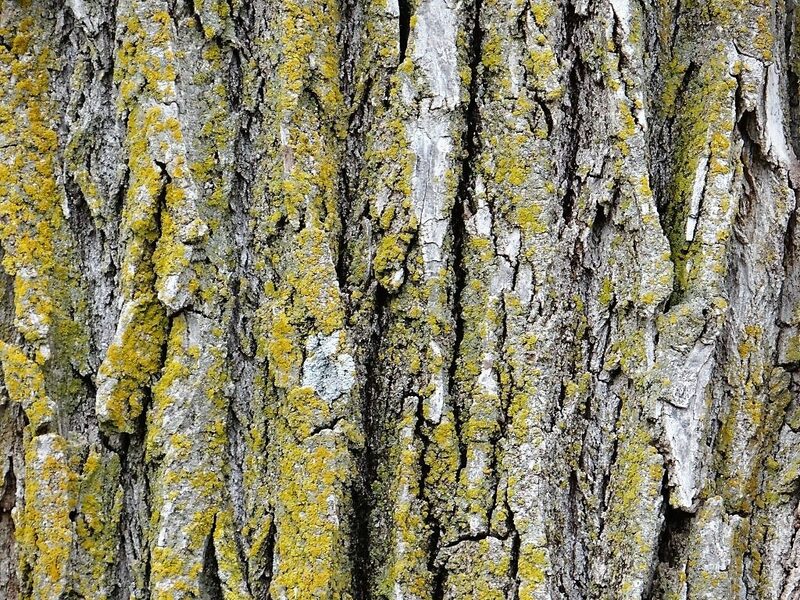 I hope you will join me in celebrating the Nebraska State Tree — the native cottonwood tree. . I remind you there is more to having cottonwoods on your property than cleaning the porch screens. A big, beautiful cottonwood tree (pictured to the right) grows along the shoreline of Kuester Lake near Grand Island, NE. Photo by Greg Wagner/Nebraska Game and Parks Commission.